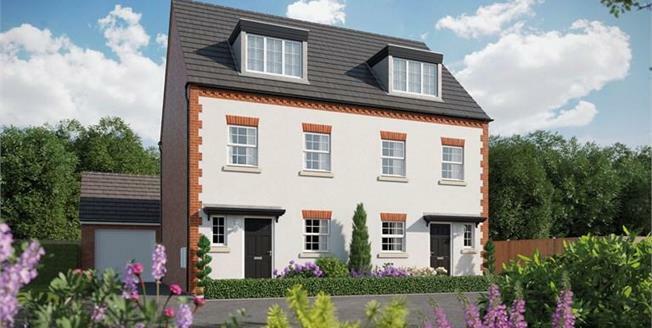 The Oaks is a development of 2, 3 and 4-bedroom new homes in King's Norton, approximately seven miles, or a 15-minute train journey from the vibrant commercial hub of Birmingham. Appealing to first-time buyers, families and commuters, the properties benefit from good local amenities and easy access to key transport links for the region. The Larch is a 3-bedroom home, which extends over three levels. The ground floor comprises an open-plan kitchen and dining area, a living room and cloakroom. The first floor offers bedrooms 2 and 3, and the family bathroom. Bedroom 1 occupies the second floor and boasts an en-suite shower room and dressing area.